Experience real comfort in the mens Kevin slippers by Zedzzz. Featuring a unique two tone upper which has intricate pattering at the front and plain black velour near the back, these slippers provide a stylish and traditional look for your feet. Comfort also comes at no end with the soft textile lining surrounding your feet with all the warmth and cosines you could dream of whilst the padded footbed provides a cushioned and delicate ground for you to walk on. Why not treat yourself to luxury with these slippers. Showing 2 of our total 7 reviews, with an average rating of 5 stars. 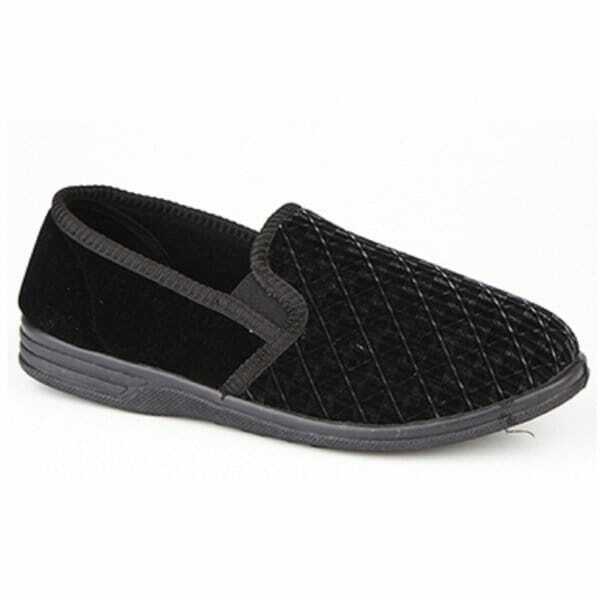 Read all 7 reviews for Zedzzz KEVIN Mens Full Slippers Black. Bought for my dad because of none marking sole. He's over the moon at how comfy they are and no bits about off the soles..
Quality slippers. Perfect sizing. Excellent price.